Melissa C. Brown is a frequent lecturer at legal conventions and seminars. Ms. Brown has been recognized in America’s Top Attorneys for over 20 years. She has studied Mediation at the World Intellectual Property Organization in Geneva, Switzerland. Ms. Brown is a certified specialist in Workers’ Compensation as well as a national expert on Social Security Disability , Elder Law, Health Care Planning and decision-making. She is a law professor and published author. Her practice includes serving as a court appointed and agreed upon Arbitrator for Workers’ Compensation matters. Her legal treatise, Advising the Elderly or Disabled Client, is utilized by law schools throughout America as well as Elder Law, Disability and Personal Injury attorneys. She been retained as an expert witness by the NFL Players association regarding compensation for brain and other serious injuries sustained by professional athletes. She holds a Juris Doctorate from Loyola Law School in Los Angeles and is admitted to practice in state and federal court. 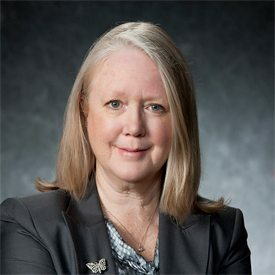 Many of her appellate cases have paved new ground for injured and disabled workers, including several cases of “first impression” in such areas as age discrimination, serious and willful misconduct and representation of employees of Indian Tribes. She has also represented doctors and health care facilities in litigation matters involving reimbursement from insurance companies for patient care. Her curriculum vitae reflects a life-long commitment to providing legal services to the elderly and disabled in clinical, legal services, and private practice settings. She has been instrumental in developing public policy and legislative approaches to the resolution of disability, workers’ compensation, health care and aging issues. These efforts have included extensive work on California legislation dealing with durable powers of attorneys, probate court investigators, alternative dispute resolution and Medicare supplemental insurance issues, as well as workers’ compensation legislation affecting all workers, age and gender discrimination, professional athletes. She has spent considerable time in teaching and training law students, care providers, medical professionals, community services workers, paralegals and lawyers, and in writing and publishing practice materials for them. She presents legal and legislative information and analysis to unions, employer groups and organizations in various settings such as shop steward training, the Coalition of Organized Labor, the United Way Union and Community Relations programs, as well as to news reporters. Ms. Brown is a law professor at the University of Pacific, McGeorge School of Law, where she teaches Elder Law and Social Policy. She also serves as the supervising attorney at the Elder Law and Health Clinic and Director of McGeorge’s Community Legal Services, where she oversees a select group of law students as they serve the community on a pro-bono basis. 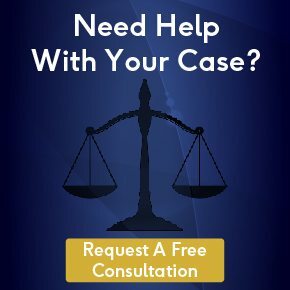 Ms. Brown is frequently called upon by attorneys and legislators to consult onpersonal injury settlements, medical malpractice settlements, conservatorships, special needs trusts and other matters with cross-over issues in Social Security retirement, disability, survivors, SSI, Medicare, Medi-Cal, In-Home Supportive services, elder law and long-term care. In addition to professional recognition through peer evaluations, recognition as one ofSacramento’s Best Attorneys in the Sacramento Business Journal, Ms. Brown was also voted one of the top three Sacramento Lawyers by Sacramento News and Review by readers in “Best Of” voting. 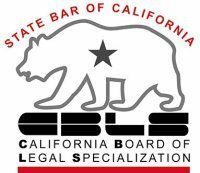 She sits on the Larson’s National Workers’ Compensation Advisory Board, the editorial board of Lexis Nexis California Workers’ Compensation, and is one of only 9 California attorneys inducted into the national College of Workers’ Compensation.